Wing Chun Kung Fu for Children Martial Arts Greensborough is a Kung Fu System popularized by the legendary Bruce Lee. Sifu Garry and Sifu Linda will help your Child develop leadership qualities, excel in sports and improve confidence. Your Child will also learn a very practical and efficient self defense system with anti bullying strategies. Are you interested in seeing your Child / Children develop the above qualities? Then, this activity will definitely benefit your Child! Wing Chun for Children in Greensborough, teaches Traditional Wing for Children's aged 8 to 13yr old Children. There are three Children's Martial Arts classes per week in Greensborough, a northern suburb of Melbourne. Children will empower themselves to develop Personal Qualities that stand above others, by studying Wing Chun. Discipline, respect, anti-bullying, participation, listening and concentration skills will improve all aspects of their life. Sifu Garry Baniecki and Sifu Linda Baniecki from Shaolin Jee Shin Wing Chun are the Principle Instructors. Sifu Garry and Sifu Linda have been involved in wing chun kung fu since 1986. 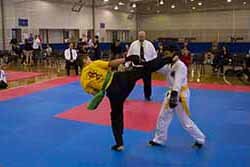 Both hold Diplomas in Sports Coaching and Sports Development, specializing in Martial Arts. Garry Baniecki and Linda Baniecki also have Working with Children Licenses. Wing Chun Kung Fu was made popular by the Legendary Bruce Lee and by the recent series of Yip Man Movies. Register your details for first introductory class - First 2 classes are FREE. Wing Chun Children’s Martial Arts conducts Wing Chun Self Defence Classes for Kids in Greensborough. The Wing Chun is located in the northern suburb of Melbourne. Children aged between 8 years to 13 years old are illegible to attend. Wing Chun Kung Fu Children’s Martial Arts is a Government Accredited Institute. All Instructors have Working with Children Licenses. 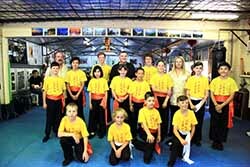 Sifu Linda Baniecki is the principle teacher for Children’s Martial Arts Classes in Greensborough. Linda has been involved with Wing Chun Kung Fu since 1991. Sifu Linda has been teaching Wing Chun Classes for Children professionally since 1996. Sifu Garry Baniecki has been involved in Wing Chun Kung Fu since 1986. Sifu Linda and Sifu Garry have Diploma levels in martial arts sports coaching and sports development. 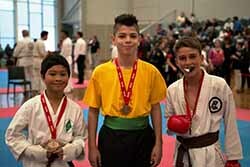 Sifu Linda and Sifu Garry have trained many champions in children’s competition since 1998. Jee Shin Wing Chun will enhance a Child’s confidence and self esteem and instill leadership qualities. Greensborough Martial Arts conducts Traditional Wing Chun Classes. The Classes cover Wing Chun Forms, Self Defence, Wooden Dummy, Chi Sao and Anti Bullying. Sifu Linda Baniecki is the principle Teacher for Kids Wing Chun Martial Arts Classes. She has been teaching Wing Chun Classes for Children professionally since 1996. Wing Chun for Kids Martial Arts classes for 8 – 13 yr old’s. Wing Chun Classes are held on Thursday, Saturday and Sunday. Greensborough Martial Arts Wing Chun for Children teaches Traditional Wing Chun Kung Fu for Children. Martial Arts for Kids teaches wing chun classes for Children from the age of 8 to 13 or 14 years old. Wing Chun Kung Fu for Children instils leadership qualities, enhances confidence and self esteem. Greensborough Wing chun School is situated on the west side of greensborough shopping Plaza. Wing Chun for Children is located at 24 Lorimer St Greensborough, in the northern suburbs of Melbourne. Wing Chun Mrtial Arts Greensborough conducts wing chun classes on Thursday, Saturday and Sunday. Wing chun kung fu for Children conducts martial arts wing chun self defence classes on Thursday, Saturday and Sunday. Classes are located at 24 Lorimer St, Greensborough, a northern suburb of Melbourne. We accept children from 8 years old 13/14 years old.